MALAYSIA: Malaysian consumers bought around RM6.8bil worth price of smartphones this past year of 2016, based on Germany's largest researching the market organisation, GfK. GfK's Reason for Sales Tracking figure demonstrated a substantial purchase increase from RM5.4bil in 2015, using the greatest spike contributed by mid-range model smartphones priced between RM900 and RM1,050, its South-East Asia md Stanley Kee stated in a statement. He stated the tracking ended between March 2016 and Feb 2017. "Chinese brand smartphones were the important thing motorists towards the spike sought after for cellular devices this past year, which registered the greatest quantity of new smartphone brands entering industry. "Using the recent nationwide expansion in mobile connectivity, consumers in the united states are more and more utilizing their smartphones for activities for example mobile shopping, social networking and surfing from the Internet," he stated. GfK reason for sales tracking also demonstrated that 37% of smartphones offered in the united states throughout the period had screen sizes varying from 5.01 to five.6 inches, in contrast to 21% annually before, which makes it the quickest growing display size segment previously 12 several weeks. Kee stated shopping apps were also gaining recognition, paving the road for mobile payments. "More consumers today are adding towards the development of mobile commerce (m-commerce) in Malaysia, paying through their cellular devices for retail products, air travel tickets, and services for example Grab and Uber," he stated. 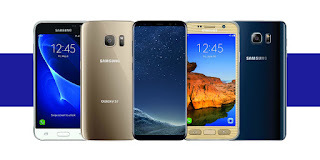 He stated within the 2016 GfK Shopper Monitor Electro consumer survey conducted over the Asia Off-shore region, most Malaysian respondents indicated cost and brand image as key deciding factors in purchasing smartphones. "Since Malaysian individuals are largely motivated by cost, we feel the mid-range group of smartphones continuously dominate the marketplace this season,Inch stated Kee.